1 - Making Sense of Next-Gen SSDs 2 - Making Sense of Next-Gen SSDs - SATA Express 3 - Making Sense of Next-Gen SSDs - Add-In Card (AIC) 4 - Making Sense of Next-Gen SSDs - M.2 5 - Making Sense of Next-Gen SSDs - U.2 (SFF-8639) 6 - Making Sense of Next-Gen SSDs - NVMe 7 - Making Sense of Next-Gen SSDs - Summary 8 - Making Sense of Next-Gen SSDs - What SSD To Buy? The transition from hard drives to SSDs was an easy one from an end-user perspective. Suddenly, we had on our hands a new bunch of drives that, while being much faster, much smaller and totally silent, still used the same SATA connectors as our mechanical and optical drives, and were often mounted in the same drive tray as regular 3.5in drives. Even if you didn’t follow tech sites and blogs that often, once you discovered SSDs it was an easy switch to make when you were ready. The same cannot be said today, however. With the SATA interface essentially at its limits, we’re currently in the midst of a transition to the next generation of solid state storage, but this time around it’s frankly a mess. If you can confidently discuss PCI-Express lanes, NVMe, M.2, AHCI, U.2, SFF-8639 and SATA Express, how they all relate to each other and what they all mean to consumers, then congratulations, and please apply for our pub quiz team. If all of that leaves you at a total loss, however, or even if you just want some clarification, then this article is for you. We’ll take you through the latest SSD technologies, connectors and protocols so you can be clear on what they mean and how relevant they are to your next build. The limits of SATA and what’s next? 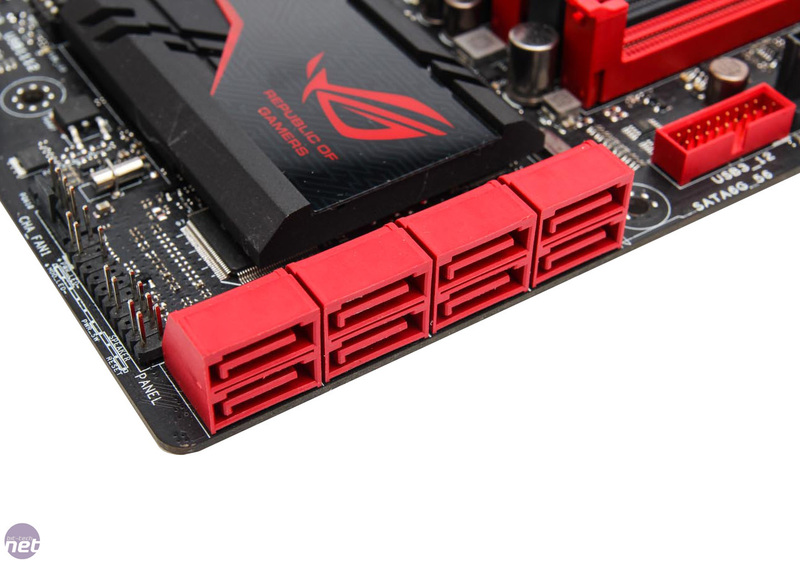 SATA ports are now ubiquitous on all modern motherboards thanks to their integration in all the latest chipsets. There's good reason for this, as they are the de facto method of communicating with storage devices, be they optical drives, hard drives or solid state drives. The latest major revision of the specification allows a single SATA port to communicate with a maximum bandwidth of 6Gbps, and for ODDs and HDDs this is more than adequate. For SSDs, however, it no longer is, as even low-end TLC drives are now easily hitting the real-world limit of SATA 6Gbps which is about 550MB/sec. The solution to lifting this bottleneck is the PCI Express bus. PCI-E has a number of advantages – it is a well developed and versatile bus that is widely implemented and understood and has its specifications maintained by the PCI Special Interest Group that includes over 900 companies. It's also already capable of very high speed data transfers and is easily scalable through the use of multiple lanes. The first thing to take away here is that the key to all next-generation consumers SSDs is PCI Express. While this is simple to grasp, the confusion tends to arise because of the multitude of ways you can communicate with the PCI-E bus, both at the physical and logical levels. As we said, it's a very versatile standard – M.2, U.2, add-in cards and SATA Express are all physical means of accessing a system's PCI-E lanes. There is also the issue of bandwidth, which is determined by both the generation of PCI-E being used and the number of lanes. For example, a PCI-E 2.0 x2 SSD is using two Gen 2.0 lanes for a maximum bandwidth of 10Gbps (5Gbps per Gen 2.0 lane), which is still higher than SATA but not by much. Meanwhile, a PCI-E 3.0 x4 SSD can access four Gen 3.0 lanes which equates to a whopping maximum of 32Gbps (8Gbps per Gen 3.0 lane).